The natural water purity, that defines the taste of vodka, is a unique advantage of Nemiroff. The artesian water is exceptional in composition. It is filtered by minerals, which are more than 540 million years old, giving it special properties. Draw from deep sources, which are protected from external influences by a granite slab. This makes the taste of Nemiroff unique and clean. 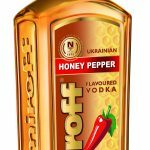 Nemiroff is the leader among the legal spirits producers in Ukraine. Nemiroff is a unique international brand, exporting its products to over 50 countries of the world (now including Malta!). Based in the town of Nemyriv in Vinnytska oblast, The Nemiroff company was founded by Stepan Glus, in 1992. 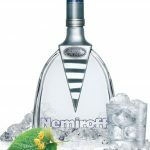 As a reassurance of the Quality, apart from numerous rewards, For the first time ever in the history of the International Millionaires Club (UK), for two successive years in a row – by the results of 2003 and 2004 – Nemiroff Vodka was declared the International Fastest Growing Alcohol Brand, with the growth rate of 42% and 45%. The Nemiroff brand is rightfully considered to be an expert in production of outstanding drinks. 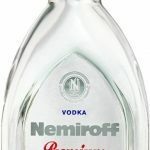 Nemiroff Original : One of the first special vodkas, independently developed by specialists of Nemiroff Company, the Nemiroff Original was launched on the market in September, 1999. Because of its elegant black label consumers started calling this vodka «the Black Nemiroff». 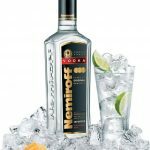 The lasting aftertaste of Nemiroff Original emphasizes the noble origin of this vodka, which serves as a great aperitif when chilled, or can be the perfect basis for any cocktail. Distributed in Malta and Gozo by NMArrigo Ltd. 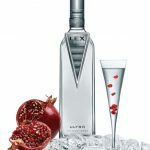 Please visit http://www.nemiroff.ua/ for more information on this Great Vodka! This is the first proprietor’s drink of Nemiroff and a starting point in the history of the brand. Fragrant cumin and natural honey create a pleasant aftertaste, which leaves a slight tartness. Masculine vodka taste and a balanced aroma of “Nemiroff Original” earned respect nearly all around the world. We stock to 1Ltr and 70cl. 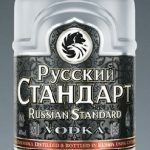 A superb vodka made according to the special Nemiroff technology using natural components and 10-level filtration, which give this vodka unique smoothness. The drink has a pleasant aftertaste, leaving a fresh coolness of mint. Pleasant aroma with subtle floral, warm and woody notes of coriander. Soft and light taste but, at the same time. full and harmonious. There is a bit tart juniper shade that slowly disappears and leaves a delicate and refreshing aftertaste. All this, together with a bottle from the French trendsetter of industrial design Philippe Seys, underscores the status of Nemiroff Lex. The strength of alcohol leaves a gentle aftertaste of pomegranate berry, squashed in mouth. Lex Ultra is a soft but harmonious drink with status. 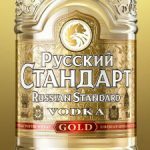 Russian Standard was founded by Roustam Tariko in 1998 using the principles developed for vodka established in 1894 by famed Russian scientist Dmitri Mendeleev. Winter wheat from Russian steppes are milled and fermented. 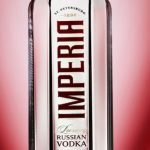 The raw spirit is distilled four times for the Original and Platinum variants while the Imperia spirit is distilled eight times. 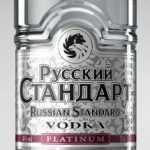 Dmitri Mendeleev’s dedication to science and the passion for vodka making converge in every bottle of Russian Standard Vodka, lovingly produced in their shared hometown of St Petersburg, the Venice of the North. All condensed into a single moment of pure pleasure. This is Vodka as it Should Be. St Petersburg stands close to Lake Ladoga, whose soft waters of glacial origin are perfectly suited for use in vodka that sets new standards. Lake Ladoga water contains very few impurities. Its vast granite basin, created by glaciers in the last Ice Age, preserves the softness of the water. Filtered additional two times through silver. Filtered additional two times through quartz. Tito’s Handmade Vodka is produced in Austin at Texas’ oldest legal distillery. Made in batches, using old-fashioned pot stills. 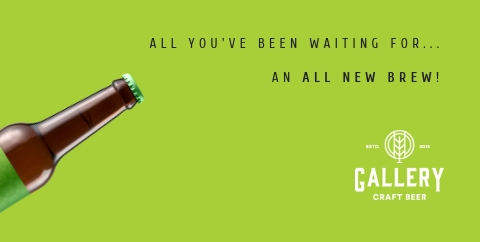 Each batch is taste-tested to make sure you get only the best. Handcrafted To Be Savoured Responsibly. Designed to be savoured by spirit connoisseurs and everyday drinkers alike. The process, similar to those used to make fine single malt scotches and high-end French cognacs, requires more skill and effort than others, but it’s well worth it. Tito’s Handmade Vodka is distilled from corn and is certified GLUTEN-FREE. Distilled and bottled by Fifth Generation, Inc. Austin, Texas. 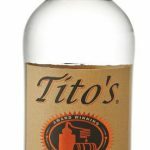 As on-going proof of the quality and success of Tito’s Handmade Vodka, it has recently been marked as the best off-trade (shop) selling spirit’s brand in the United States.